Donald Trump is currently traveling overseas, but there is still news coming out of Mar-a-Lago, Trump's "Winter White House." The town of Palm Beach reports that a sinkhole opened up directly in front of the resort. The hole, which is about four feet by four feet, is located on Southern Boulevard near the resort's southern entrance. The Palm Beach Daily News reports that the cause of the sinkhole is currently unclear, but notes that it is located near a new water main. Utility crews are currently on scene working to excavate the hole and determine the problem. Traffic is moving and being rerouted around the sinkhole. 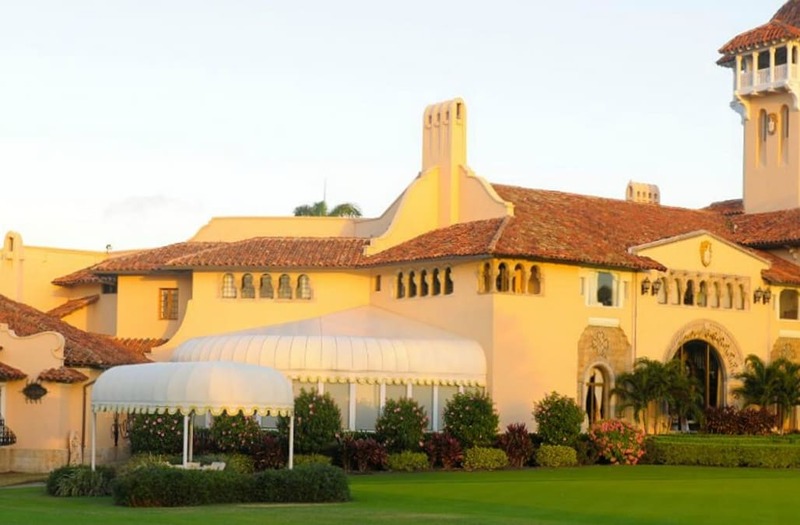 The hole will not be much of a problem for Trump and Mar-a-Lago's guests, since the resort closed for the season after Mother's Day. Trump will likely spend the summer visiting his Bedminster, New Jersey, estate.